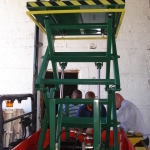 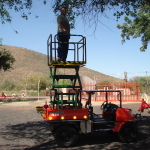 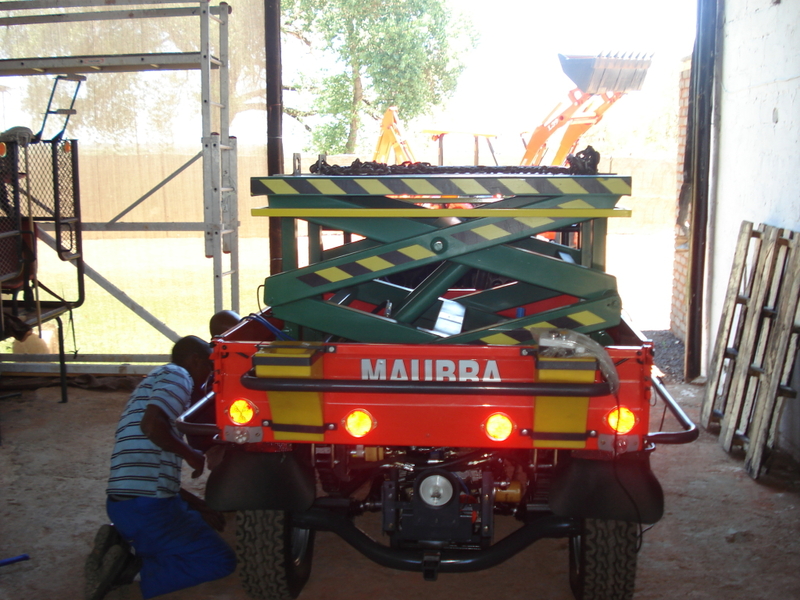 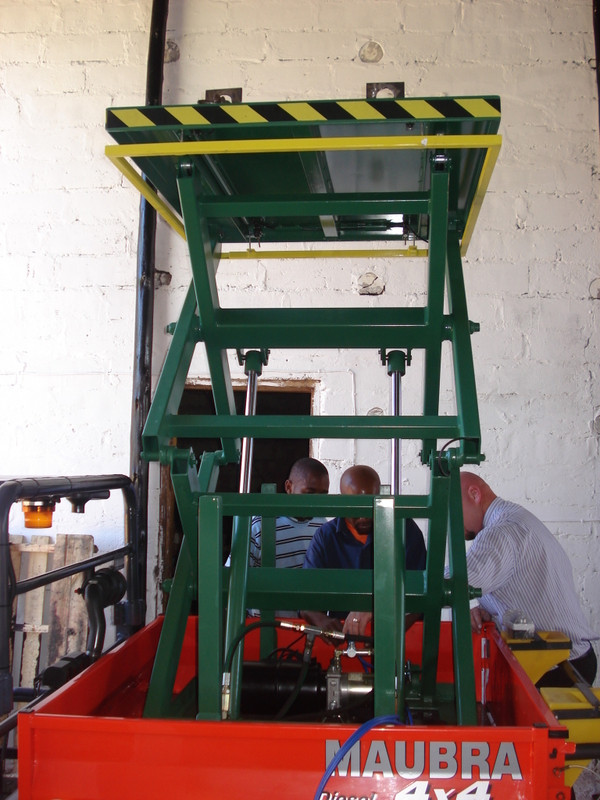 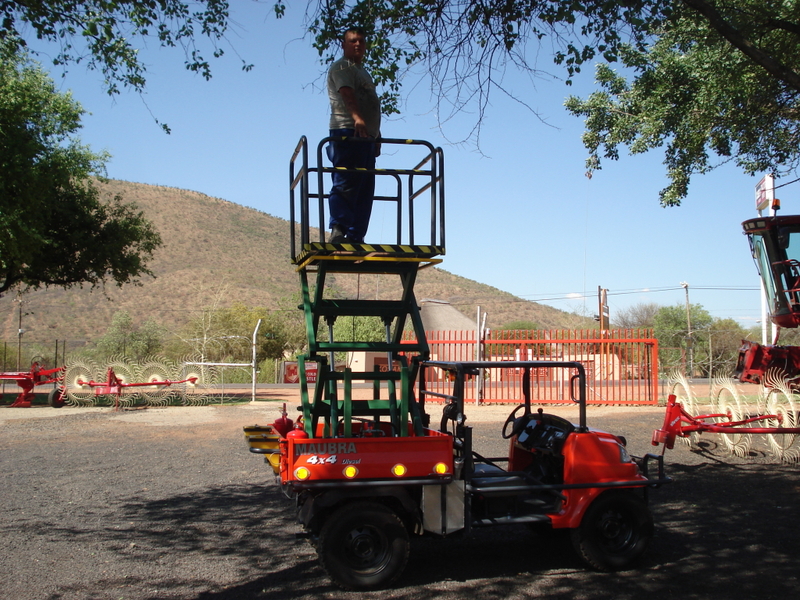 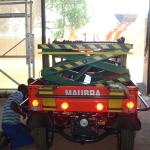 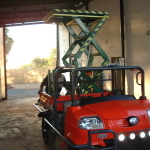 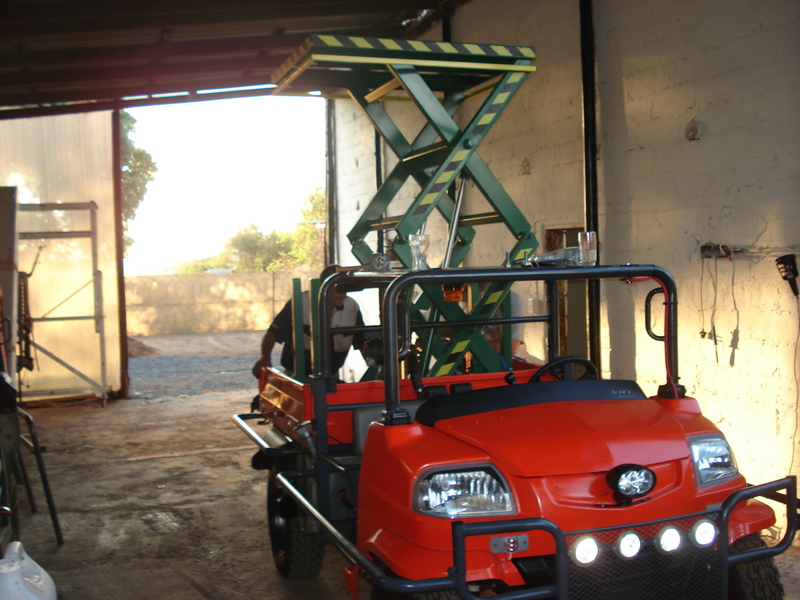 This lift was designed for a small vehicle as depicted here, to work in the mining sector. 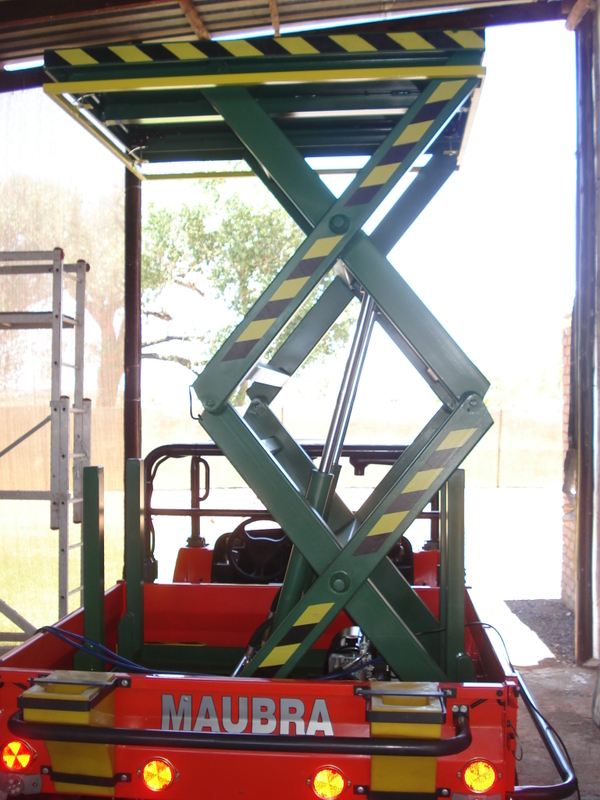 The hydraulic system for the scissor lift is a 12 v system drawing it’s current from the vehicle electrics. 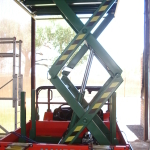 Out-riggers have been fitted to provide a safe stable base to work from.